CEFLS has a number of items that can be used by one of the member libraries to support patron services. We also offer prepackaged activity kits for both individual patron use and for use within a library. We also have equipment to help facilitate activities within a library or events outside of a library that would normally be cost-prohibitive. If you have any questions or wish to request a specific item, contact Karen Batchelder (518-563-5190 ext. 20) or David Fuller (518-563-5190 ext. 22). The Mother Goose Big Idea Kits are collections of activities, toys, stories, and related items to stimulate and educate children. Does your library have a book club? Are you looking to start one? The Clinton-Essex-Franklin Library System can provide you with everything your book club needs for your next discussion! CEFLS loans books exclusively for libraries and local book clubs to use for their discussions. Books are checked out in a sturdy canvas bag containing 12 paperback copies of each title and a printed list of discussion questions. Each bag is checked out as a single item with multiple pieces, so the person or institution checking out the bag is responsible for all pieces being returned. Library staff should count all pieces at check-in and check-out. Book Club in a Bag kits can be checked out for six weeks, and they can be picked up and returned at any CEFLS member library. Please make sure books are returned together with the bag, not separately. Book Club in a Bag sets cannot be requested via Horizon. If you'd like to request a title for your library's book club, contact David Fuller. Questions about the program or suggestions for future titles can be sent to Anja Bouchard. “Many of the innovations that we think of as hallmarks of Western science were actually the result of Arab ingenuity: Astronomers laid the foundations for the heliocentric model of the solar system long before Copernicus; physicians accurately described blood circulation and the inner workings of the eye ages before Europeans solved those mysteries; physicists made discoveries that laid the foundation for Newton's theories of optics. But the most significant legacy of Middle Eastern science was its evidence-based approach -- the lack of which kept Europeans in the dark throughout the Dark Ages. The father of this experimental approach to science -- what we call the scientific method -- was an Iraqi physicist who applied it centuries before Europeans first dabbled in it. Al-Khalili details not only how discoveries like these were made, but also how they changed European minds and how they were ultimately obscured by later Western versions of the same principles. * Indicates dies that can be used in combination with other dies. Want to have an event outside of the library but don't want to fight with the elements? Or need a table and chairs that will work outside? Perhaps you just want to draw attention to and area, but don't have any extra funds to get something? We have equipment that can be lent for just such occasions. Collapsible vertical sign reading "Libraries of Clinton-Essex-Franklin Library System"
Height-adjustable folding table, 48 x 24"
Two stories are included in this kit, which can be illustrated using the figures while telling the stories. You can also use the figures to tell the story Guess How Much I Love You by Sam McBratney. Two stories are included in this kit, which can be illustrated using the figures while telling the stories. You can also use the figures to tell the story Rainbow Fish by Marcus Pfister. Two stories are included in this kit, which can be illustrated using the figures while telling the stories. You can also use the figures to tell the story Froggy Gets Dressed by Jonathan London. Learning about domestic animals of the farm, how things grow, and where many common foods and other products come from and how they're produced makes studying the farm exciting and an important subject. CD contains delightful songs that will entertain as children learn about life on the farm and taking care of the animals. Included: Old McDonald Had a Farm; My Favorite Animal; The Peacock; I've Got a Secret; What Will We Do with the Milk, Farmer Jones; All the Little Babies are Born Each Spring; Have You Ever Seen a Llama in Pajamas; I Want a Woolly, Woolly Sweater; Animal Language; I'm a Little Peacock. Teaching nursery rhymes to children gives them a feel for the language. They will love to repeat them over and over, giving them a sense of accomplishment. CD contains nursery rhymes that have been favorites of both young and old for ages. Music has been added to add to the fun, helping you sing the rhymes found in the set. Included: Mary Had a Little Lamb; Jack and Jill; Eensy Weensy Spider; Hey Diddle Diddle; Humpty Dumpty; Ba Ba Black Sheep; Little Boy Blue; Rock a Bye Baby; Buckle My Shoe; Willie Winkie; Three Blind Mice; Oh Where Has My Little Dog Gone? ; It's Raining, It's Pouring; Rain Rain Go Away; Hickory Dickory Dock; and more. Two stories are included in this kit, which can be illustrated using the figures while telling the stories. You can also use the figures to tell the story Good Night Moon by Margaret Wise Brown. This Mother Goose rhyme talks about our feelings when we have done something wrong and then make it right. Use this story and ideas to help kids learn about choices, responsibility, and also about just having fun! Two stories are included in this kit, which can be illustrated by using the figures while telling the stories. You can also use these figures to tell the story The Very Hungry Caterpillar by Eric Carle. These kits focus on the 5 simple activities that strengthen early literacy skills for Kindergarten readiness - talking, writing, reading, playing, and singing. Each kit includes tips for parents and ideas for additional activities. Want to have coding in the library or perhaps a job-searching workshop, but you don't want to tie up public access computers? 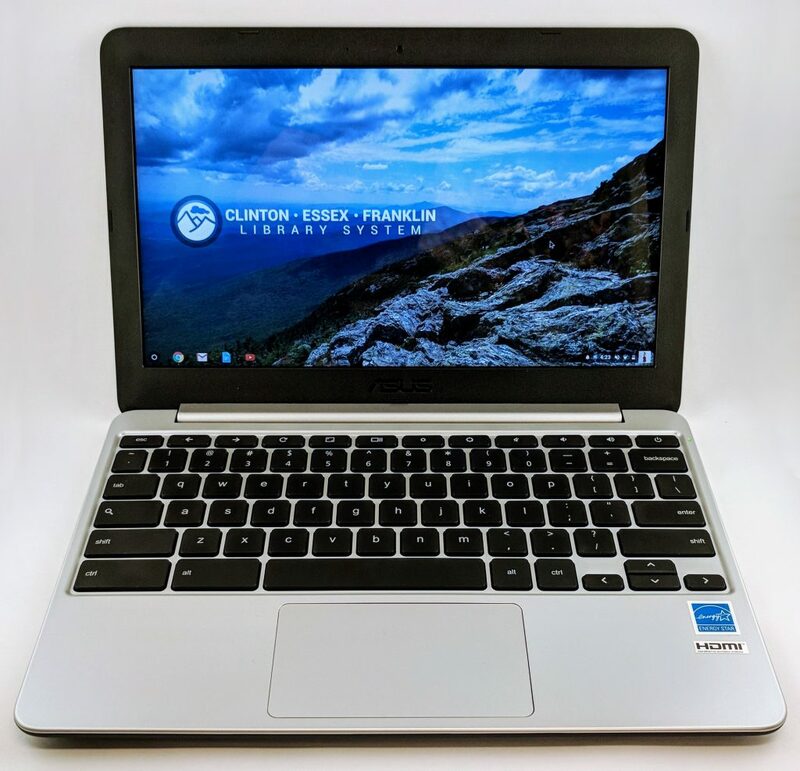 We have a collection of Chromebook laptops available to use wherever they're needed. With a simple interface, easy wireless setup, and lightweight design, you can have up to 11 of these set up in any area. Want to have a maker space or maker activities in your library but your budget can't cover it? Request a Maker Kit for your library or have a patron check it out themselves to partake in hands-on learning without the major cost. Ever feel like a good chunk of the population drives by without even looking at your building? We've got something to help with that. 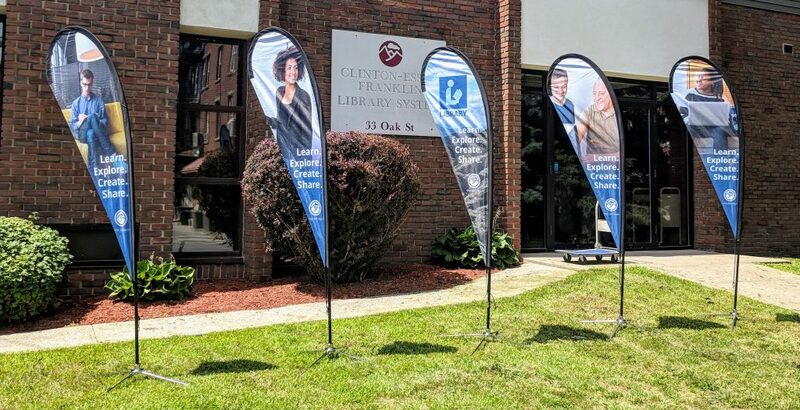 We've purchased five teardrop, double-sided signs that serve to highlight what kind of services and programs your library provides. Job searchers, students, people looking for a place to have a business meeting, seniors who need to learn about new technology, or just the average person who might not know about the library will notice these signs that stand higher than 7 feet tall. Each comes with a collapsible pole, folding base, and a water bag to weigh it down. The flags are easy to set up and have a sturdy design. Put your best foot forward with our Prep for Success kit. 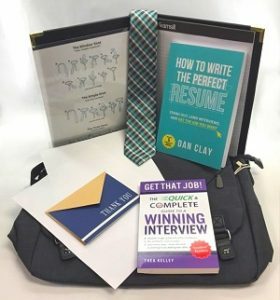 Whether you need help with writing a resume, tips for job or college interviews, or just some accessories to make you feel professional and confident, this kit has you covered. It contains a messenger bag, a portfolio with note paper and a pen, resume paper, thank you cards, a guide on how to write a resume, a book on nailing an interview, and even a tie with instructions on how to wear it. Check out the kit free of charge. Kits compiled with generous grant funding from the Autism Alliance of Northeastern New York. These kits contain materials, activities, and objects specifically catered to those on the Autism spectrum and their parents, caregivers, and siblings.